PinkIce Jewels soon to be in the . . . Check out the two ads for the Detroit Metropolitan "Metro Times" weekly publication. Date of publication to be determine. I'm so excited that have finally arrived...lol! WOW...on the front page of Etsy this is really great for me (I think). I have also include my very first treasury EVER! and a couple of others that I have been included in tonight! Thanks to Beadiful Designs, Mama Trep Designs, DBrownDesigns and Abbey753 for including my designs in their treasuries!!! I have 2 different business cards currently in circulation with a 3rd on the way. The first two are basically because I could not make up my mind in regards to which card I wanted. Then PinkIce Jewels is getting a make-over...new face and all! So once that is done the official business cards will be ready! you have just won a pair of earrings. Just email me at pinkicejewels@gmail.com. Specify if you have an allergy to plated metal and your address and I'll get your earrings to you ASAP. Or you can just call me at the phone number on the card. 5 Things about ME. 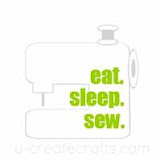 . .
1) I'm addict to creating things; stories, poetry, jewelry, clothing, quilts, etc ... anything pretty much! 2) I am the eldest of 5 children. 4) My favorite board game is MONOPOLY!!! 5) I love to stay up late...not a morning person at all! OH... Tagging 7, yes seven people hummm, wonder who will it be!!! Tiina Teaspoon, Jewelry by Tara, Welcome to Girl Land, My Little Cuddle Bugs, Sweet Irie Originals, Caties Blue, Purse-onality. Visit these blogs and their shops for all the beautiful handmade items...all by these great artists.